Few men have been as influential within the world of extreme metal as Thomas Gabriel Fischer. From Hellhammer and Celtic Frost to current project Triptykon, he has continually pushed the boundaries of how dark and intense guitar music can become. He has been hailed as a pioneer of death, black and doom metal, and far from resting on his laurels he continues to break ground. 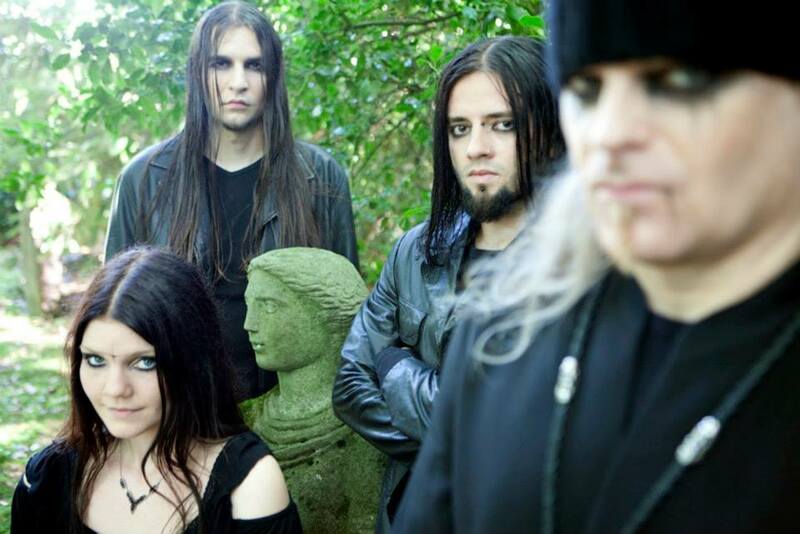 Triptykon garnered great critical acclaim for their ferocious debut record, Eparistera Daimones, incorporating elements from every corner of extreme metal to form a nightmarish fusion of sounds and styles. With superior follow-up Melana Chasmata, the band proves their mastery over numerous genres, and once again shows a deft ability to draw them together. Roaring out of the gates with ‘Tree of Suffocating Souls’, a seven-minute monster recalling The Blackening-era Machine Head in its ferocity and dextrous guitar assault, the album thrives thanks to both pitch-black textural brilliance and a masterful range of dynamics. The middle triumvirate of songs represents the peak, the bullish charge of ‘Breathing’ magnificently offset by the largely instrumental, haunting tunefulness of ‘Aurorae’ and the grinding, stop-start cerebral horror of ‘Demon Pact’. As much as Fischer’s vocal performance of both singing and raspy growls suits the murky atmosphere, Melana Chasmata is as good as it is because of the immaculately crafted instrumental constructs, each one dripping in sludge and gloom but with hidden beauty. The long runtime of each song and the album as a whole does just keep it from masterpiece status, ‘In the Sleep of Death’ representing a notable low. Nonetheless, most of the songs justify their length, most impressively the 12-minute monster ‘Black Snow’, which is consistently enjoyable without any real tempo changes or alterations in tone. Following it up with stripped-back final song ‘Waiting’ is a masterstroke, the melody and space conveyed in its first two minutes representing the comedown from the the trip into the abyss that preceded it. Few bands do one thing as well as Triptykon do many things, the build from the gorgeous, delicate bridge of ‘Waiting’ to its dirge-like but euphoric conclusion alone showing how good this band is. Melana Chasmata represents a demanding listen, particularly for those not already well versed in the dark delights of doom metal and similar styles, but given complete attention is hugely rewarding. The dynamics of its first half do become less clear as it progresses but enough different territory is explored to justify the 65 minutes of music within, and the hugely impressive, varied guitar work alone is worth the price of admission. Perfect for a haunting winter’s night, Triptykon’s second opus proves they’re neither one trick pony nor flash in the pan, and will continue to corrupt souls and stand at the forefront of extreme metal for the foreseeable future.